Imagine gliding down the slopes, the wind running through you hair, and then WHACK! A newbie skier has come out from nowhere, knocking you off your skis. 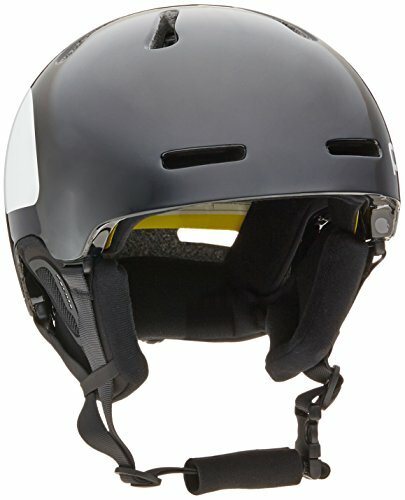 When accidents occur on the mountain, the best ski helmets will help protect your noggin and potentially save you from cancelling the rest of your vacation. 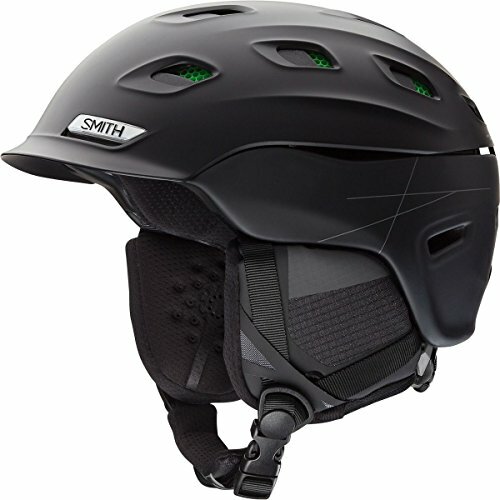 Nowadays, more skiers and snowboarders than ever before are choosing to wear helmets. The great news is that modern ski helmets not only protect your head from brain injury, but they look good too. They come in a variety of designs and features to suit even the most style-conscious or fussy skier or boarder. 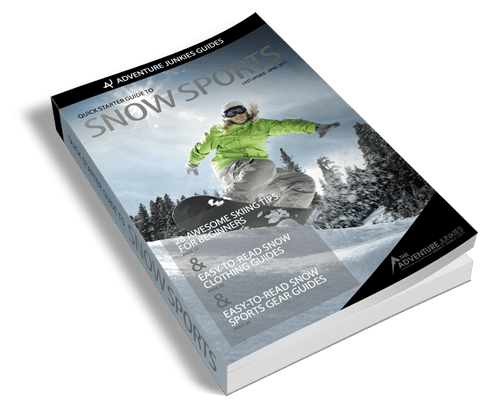 One of the big goals here at The Adventure Junkies is to make your life easier when it comes to choosing the right ski and snowboard gear. 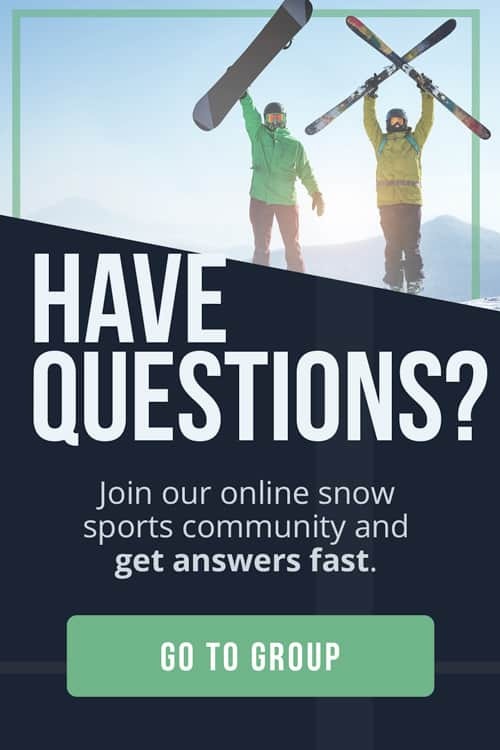 In this guide, we’ll walk you through how to choose a ski helmet and show you our selection of the best models of the year. 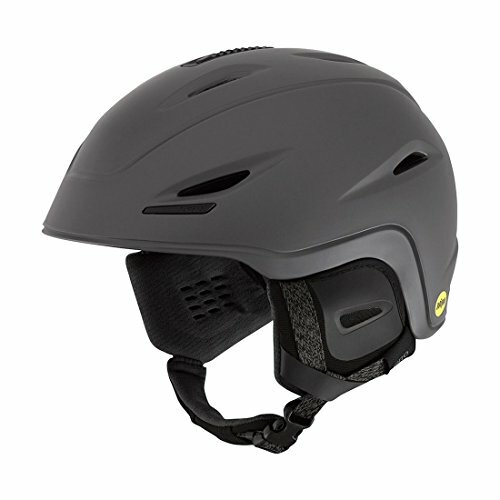 PROS: Comfortable, affordable good-quality ski helmet for all-round use. 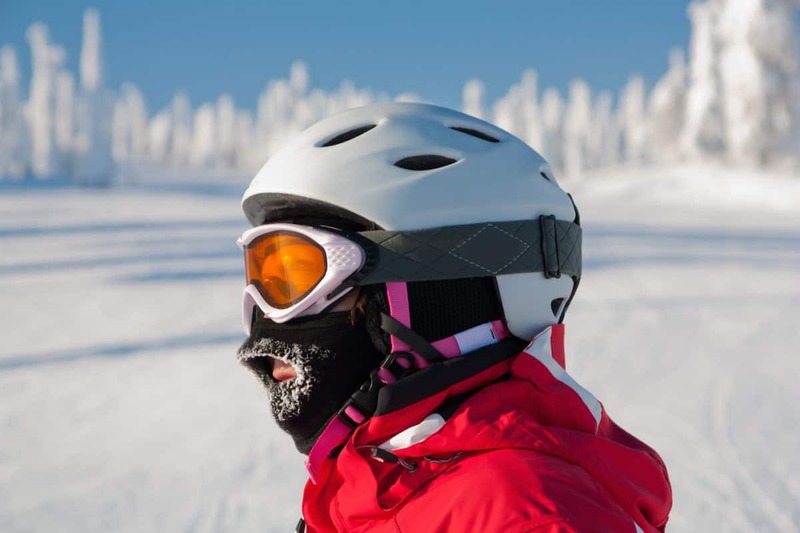 Ski helmets are typically made from two different types of materials – the outer, hard shell and the foam padding. The outer shell needs to be made out of a durable material which can take a high-impact knock, such as polycarbonate or ‘ABS’ – acrylonitrile butadiene styrene. You’ll find most ski helmets are either ‘in-mould’ or ‘hard shell’. The hard shell has a separate tough outer shell fixed to a foam interior padding. These types of helmets tend to be more affordable than the in-mould construction, which has a hard plastic shell moulded to a softer foam. The benefit of the in-mould helmets is that they are lightweight and allow for less rebound on impact. Just like choosing a bicycle helmet, a ski helmet needs to fit the user properly in order to be used as head protection, not decoration. It’s best to try on different sizes and styles to ensure the best helmet possible for the shape of your head. Wobble it around while it’s on your head. Is it secure? Does it slip to one side? A loose helmet is not only annoying, but potentially dangerous and won’t do its job of protecting your skull. The best ski helmets have a Boa, which is a dial where you can adjust the fit. 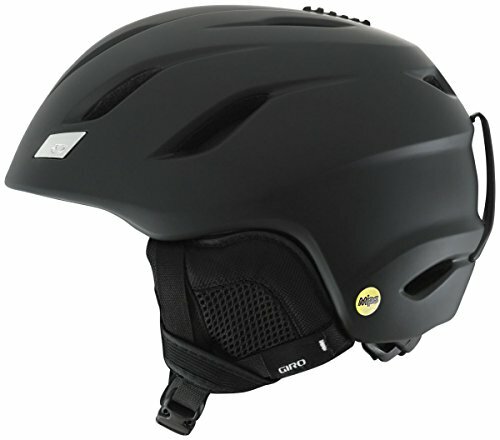 You still need a helmet in the right size to start with – this adjustment is simply fine tuning the fit. You’ll need to have adjustable chin straps to ensure the helmet is secure, while you can still breathe! Chin straps that are too tight can be uncomfortable and you may be tempted to leave them undone – making the helmet relatively useless in an impact. Some helmets have padding over the strap, which means you can have a secure fit that is extremely comfortable for the user. If you get cold ears, then padded ear covers are a dream! 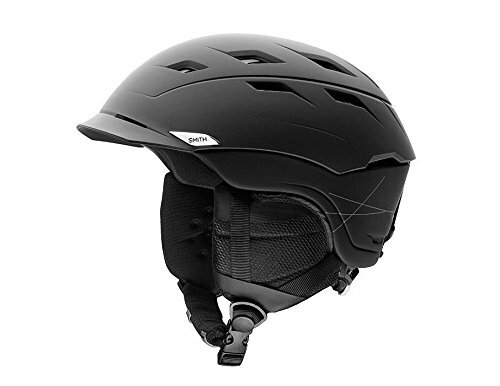 Some helmet designs, especially in the women’s range, have soft, padded and even fluffy ear covers coming down from the helmet, which is ideal if you’re not wearing a beanie underneath and need extra protection from the cold. If you want flexibility to choose, some helmets have removable ear covers so if you’re enjoying a bluebird day or planning on spring skiing, you can take them off to allow for more air flow. 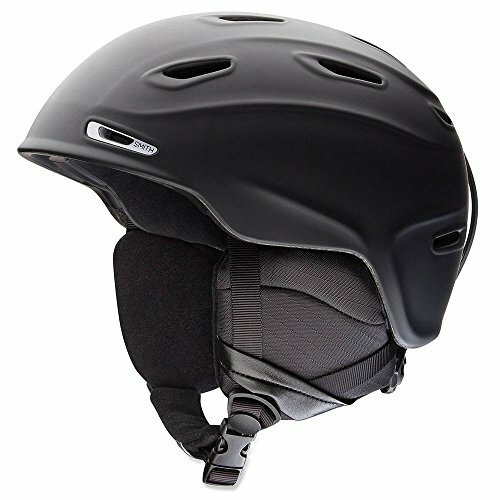 Helmets come with different air vent systems which are important if you get hot while skiing or snowboarding, or are in warmer climates. 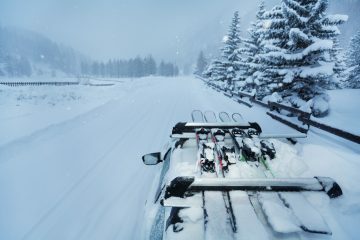 The best ski helmets have adjustable air vent systems, meaning you can close or open the vents depending on the temperature outside and how warm you need your head to be. In the past, wearing helmets could get in the way of your goggle fit. But modern helmets are designed to be compatible with your ski goggles – so there’s really no excuse not to wear one. Compatibility allows your goggles to sit close on your face and create a seal so they don’t fog up. 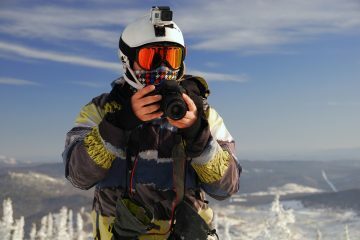 Most helmet brands are designed to be compatible with the same brand ski goggle. A good fit will mean goggles fit comfortably on your face without pressing or digging into certain areas. Bring your ski goggles with you to try on at the same time to check for compatibility. If you’re worried wearing a helmet means you can’t listen to your sounds on the slopes, then think again. Some ski helmets are audio compatible, meaning they’re designed to fit earphones or chips along the back of the helmet and into the ear padding. 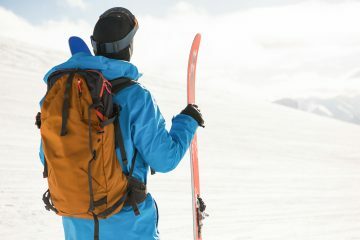 And there are enough headphones and audio systems these days designed specifically for the skier and snowboarder in mind to wear with their helmets. 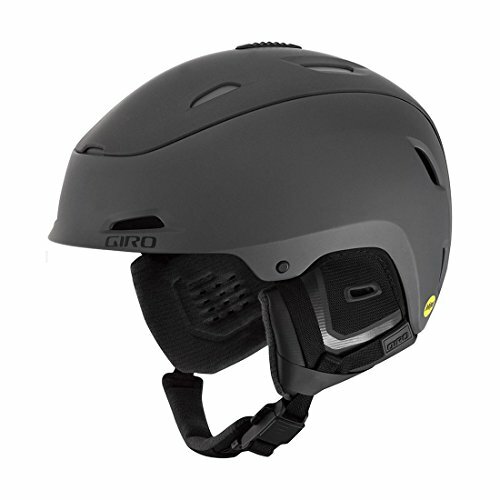 With the rise of the GoPro and other types of sport-cams, it’s no surprise some ski helmets have specific camera mounts already attached to them. If you’re a budding videographer, or just want to show off your new tricks on social media, then choosing a helmet with a pre-attached camera mount will save you a the hassle of trying to glue a mount on yourself – and potentially having your precious camera come loose in a tumble. 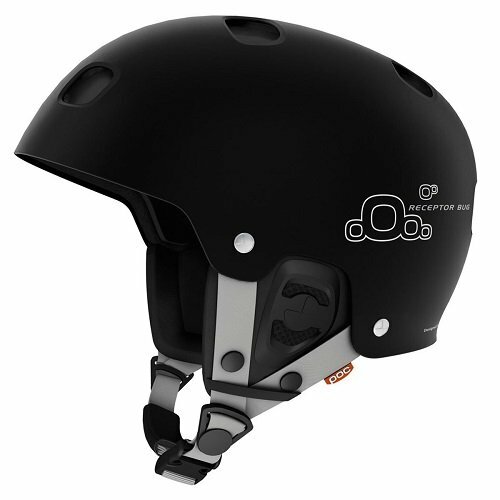 MIPS is a ski helmet technology which helps better protect the brain in the event of a ski crash. It stands for Multi-directional Impact Protection System. Designed by Swedish neurosurgeon Hans van Holst, MIPS can reduce the rotational impact on brain tissue significantly, adding extra protection from serious brain injury.